Jonathan Posthuma is a freelance composer in Saint Paul, Minnesota. He recently completed his Masters of Music Composition at the University of Wisconsin - Madison where is studied with Stephen Dembski and Laura Schwendinger. He is a graduate of Dordt College in Sioux Center, IA where he received a degree in Secondary Music Education: Choral/Instrumental and a minor in Theatre and studied composition with Dr. Luke Dahn. His musical style seeks to combine lyricism, evocative imagery, and intense emotional contrasts, yet maintains clarity in form and function at their deepest levels. 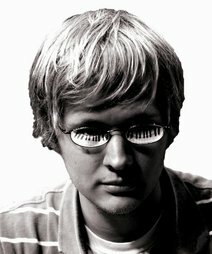 This site was created to be temporary storage for the music of Jonathan Posthuma. Hopefully, he will someday create a much nicer website, but for now, he will have to settle for this. If you are interested in performing a piece, please contact Jonathan to work out a performance agreement. Jonathan Posthuma is a member of BMI.